From NY Post: A mother attempting to climb over a fence on the US-Mexico border fell and was impaled on a steel bar in front of her children, officials said. 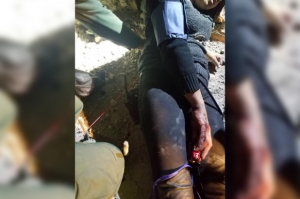 The 26-year-old woman from Guatemala pierced her side and buttocks when she landed on pieces of rebar Friday night near the San Ysidro Port of Entry, a border crossing between San Diego, Ca., and Tijuana, Mexico, US Customs and Border Patrol officials said in a statement. Border Patrol agents in San Diego rescued the woman and she was taken to a hospital with minor injuries, the statement said. Her two children, ages 3 and 5, were also taken to the hospital and later released into Border Patrol custody, officials said. 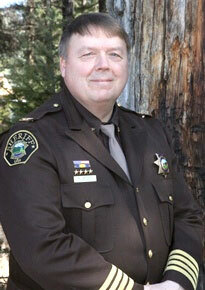 “This woman placed her own life and her children’s lives in peril,” Scott said in the statement. The woman told agents she wasn’t part of the migrant caravan that’s made its way from Central America to the Mexican border town of Tijuana. Some migrants traveling with the caravan tried to breach a border fence on Sunday and were fired at with tear gas by US agents. From Yahoo: Dior is facing backlash for cultural appropriation in campaign using Jennifer Lawrence. In brand posts about the Dior Cruise 2019 collection, Lawrence is seen being photographed in the hills of California and heard talking about the indigenous people who motivated the brand’s designs. Although the campaign images are aesthetically pleasing, most people are displeased with Dior’s inability to secure a different face for the collection — namely, comedian Phoebe Robinson who took to her Instagram to make a statement against the brand. However, others are praising Dior for celebrating another culture and acknowledging where the inspiration came from. Some have even pointed out that Lawrence has had a contract with the brand for years. “The company is Dior and their brand ambassador is Jennifer Lawrence. They are honoring another culture with love and admiration! Nothing wrong with that!” someone said. “It is 2018 and people should know how fashion works. The woman is just doing her job and good on her too. Maybe if a woman with Mexican heritage was the brand ambassador for Dior then she would have represented this campaign,” wrote another. Dior has yet to publicly respond to the controversy and didn’t immediately reply to Yahoo Lifestyle’s request for comment. From Fox News: Eleven MS-13 gang members – all of whom are illegal immigrants aliens except one – are facing life in prison after being charged in the kidnappings and deaths of two teens whose bodies were dug up in a Virginia park last year. The ages of the male gang members charged Friday ranged from 20 to 27. All of them are from El Salvador and only one – who is believed to have fled the country – is not in police custody, according to NBC Washington. Police uncovered the bodies of 17-year-old Edvin Escobar Mendez and 14-year-old Sergio Arita Triminio at Holmes Run Park in March 2017 after receiving a tip. The two teens disappeared just weeks apart the prior year. After Mendez vanished and was reported missing by his family, his brother tracked down Triminio – one of his friends – who revealed to him that Mendez was “abducted or killed” because the MS-13 members thought he was allied with a rival gang. Two days after that reported conversation, Triminio, who lived near Holmes Run Park, disappeared while taking out the trash. “He never came back,” his mother said. 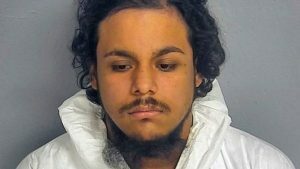 Investigators believe Triminio was killed because the MS-13 members thought he was working as a police informant, a federal indictment said. A court-ordered electronic monitoring device that Triminio was wearing, per his probation orders, stopped working the day he vanished, the documents added. All but one of the men facing the conspiracy to kidnap charges are reported to be illegal immigrants aliens, and one suspect is facing a conspiracy to commit murder in aid of racketeering charge. The names of those charged are Elmer Zelaya Martinez, 27, Erick Palacios Ruiz, 20, Ronald Herrera Contreras, 20, Josue Vigil Mejia, 21, Henry Zelaya Martinez, 24, Oscar Contreras Aguilar, 20, Yonathan Melgar Martinez, 21, Pablo Miguel Barrera Velasco, 20, Anderson Villatoro, 21, Francisco Avila Avalos, 20 and Fredys Baires Abarca, 20. Their gang member aliases included nicknames such as “Killer”, “Horror” and “Lil Clandestino”. All of them are charged with conspiracy to kidnap, while Aguilar is also charged with conspiracy to commit murder in aid ofracketeering. MS-13 was started by Central American immigrants, mainly from El Salvador, in Los Angeles in the 1980s and has expanded to include Hondurans, Guatamalans, Mexicans and other Central and South Americans. President Trump’s Justice and Homeland Security Departments have made targeting the gang a top priority. The president himself has used the word “animals” to describe the gang. Don’t let the lack of the word “illegal” in this story fool you. Gov. Inslee has, in effect, turned Washington state into a sanctuary state. From MyNorthwest.com: Just hours after President Trump signed an executive order to keep families together at the U.S.-Mexico border, Washington state Governor Jay Inslee called the policy child abuse and announced he will give $1.2 million to support Northwest Immigrant Rights Project’s civil legal aid services. The money will be used to defend immigrant rights and to help families reunite. The governor said that everyone is entitled to a fair and due process, and to be treated with dignity and respect. As for Trump’s executive order, Inslee said it’s too late. The damage has been done. “We have more than 2,300 children separated from their parents today,” Inslee said. The governor said Trump’s administration has lied about the separation of children from their parents, why they did what they did to the children, lied about who is responsible, and lied about what it will take to reunite families. Inslee and state Attorney General Bob Ferguson sent a letter to Attorney General Jeff Sessions and Department of Homeland Security head Kirstjen Nielsen for answers about why the policy was enacted and about the location of the children and parents. He said they have not received answers. Trump said on Wednesday, “We are keeping families together.” But he added the “zero tolerance” policy will continue. Vice President Mike Pence added that they are calling upon Congress to change the laws. Trump added that the word “compassion” comes into it. The president has been trying to win over congressional support on immigration amid a crisis along the border involving the separation of immigrant children from their families. From Daily Mail: A Honduran father who was heartbroken after being separated from his wife and child at the US border killed himself while in custody last month. 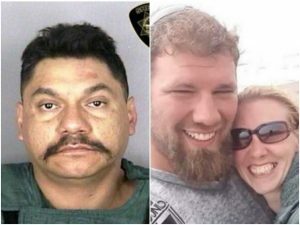 Marco Antonio Muñoz, 39, was found dead on the floor of his Star County, Texas jail cell on May 13, lying in a small pool of his own blood with an article of clothing tied around his neck. Texas authorities believe that Muñoz suffered a breakdown when he was separated from his family after entering the US illegally through the Rio Grande, according to a Star County Sheriff’s report obtained by The Washington Post. The incident occurred shortly after the Trump administration instituted a ‘zero tolerance’ policy on illegal immigration, which seeks to prosecute individuals arrested for unlawful entry into the US. ‘If you cross the border unlawfully, then we will prosecute you. It’s that simple,’ US Attorney General Jeff Sessions told reporters on May 8 while announcing the new White House initiative. ‘We don’t want to separate families, but we don’t want families to come to the border illegally and attempt to enter into this country improperly,’ Sessions added. So far, the policy (should say lawbreakers) has separated more than 1,800 families, according to The New York Daily News. A Border Patrol source who spoke to the Post said Muñoz had crossed into the US on May 12 with his wife and three-year-old son. They were apprehended shortly after their arrival in the small border town of Granjeno, Texas, which serves as a common crossing point for immigrants. 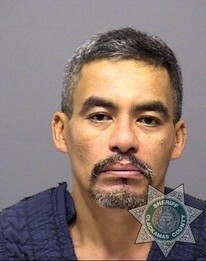 After being transferred to a detention facility, the Post reports that Muñoz attempted to apply for asylum. Muñoz remained combative for most of the evening, attempting to escape at one point during his detention. ‘He yelled and kicked at the windows on the ride to the jail,’ the agent added. Muñoz was booked into the Star County Jail at 9.40pm and placed in a padded cell, with guards checking on him every 30 minutes. At around 9.50am the next day, a guard discovered Muñoz unresponsive on the floor of his cell without a pulse. The guard ‘noticed a small pool of blood by his nose,’ and ‘a piece of clothing twisted around his neck which was tied to the drainage location in the center of the cell,’ the Post reported. Muñoz’s wife and son were later released from custody, according to the Post. It remains unclear if the family was allowed to claim his remains. The Department of Homeland Security, which oversees the border patrol, says they are working on new programs to help explain the separation process to the American people and individuals affected by the policy.